This is a summary account of an assault on the Himalaya mountain range in Nepal by some of our Chiang Mai hikers. The trek participants are organizing their vast caches of photographs, and the pick of these will be shown at a slide show later this year. 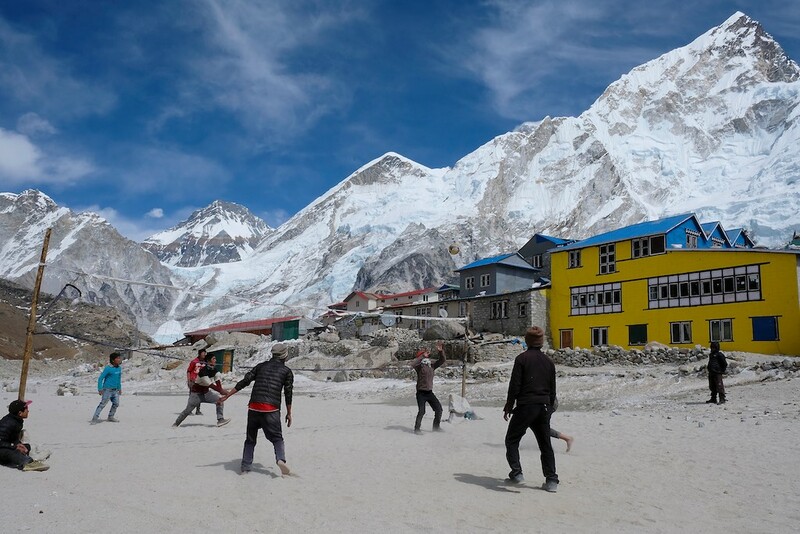 Nepal was proposed as a follow-up to the Kilimanjaro adventure of June 2016. 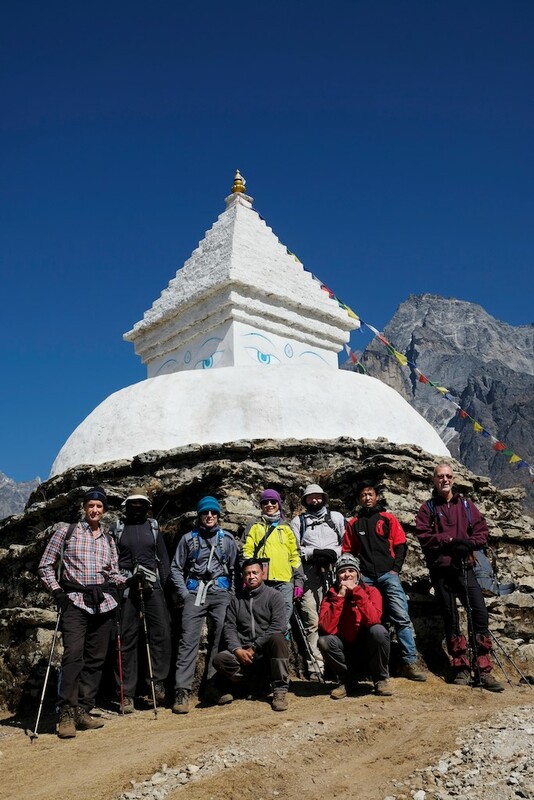 The same individuals that visited Tanzania, Peter T, Koy, Mike, Brian and Peter D agreed to the idea of a Nepal trek. 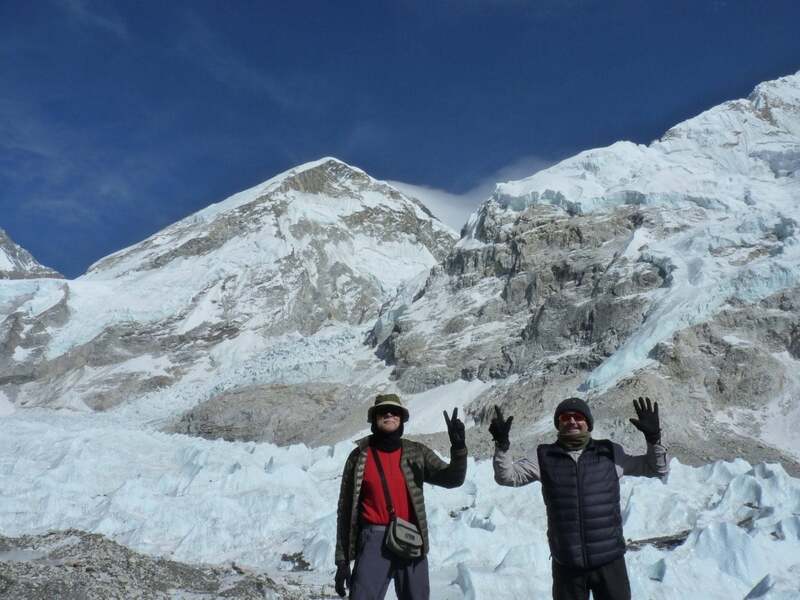 Two more hikers, Oliver and Jim, decided to tag along too, although Oliver planned to make his way to Lukla from Katmandu overland, not travel by air like the others. On arrival at Kathmandu airport, there was a short queue to pay a US$40 thirty-day fee at immigration, and an even shorter queue to have our passports stamped. Brian and Peter D stayed at the International Guesthouse Hotel in the manic tourist district of the city, close to bars whilst others stayed in the more genteel Bhaktapur outside town. Traffic was very congested with a completely different driving style to that in Thailand: zero jai dii being shown to fellow drivers. Everywhere was dust from nearby brick factories and many pedestrians wore masks. Our driver mentioned there had been little rain and this was the dry season. 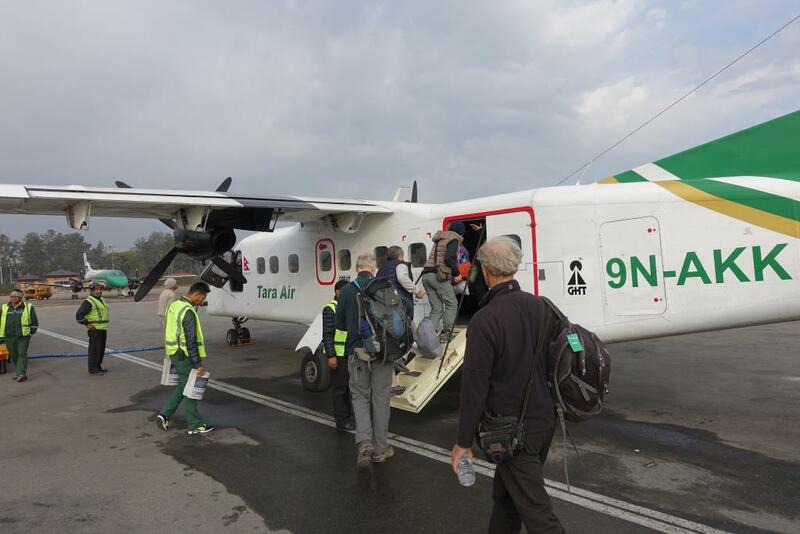 He added ominously that there had been no flights to Lukla, our second airport destination, due to poor visibility there over the past three days. Kathmandu had been hit by a massive earthquake a few years previously and rebuilding was evident in many places en route to the hotel. 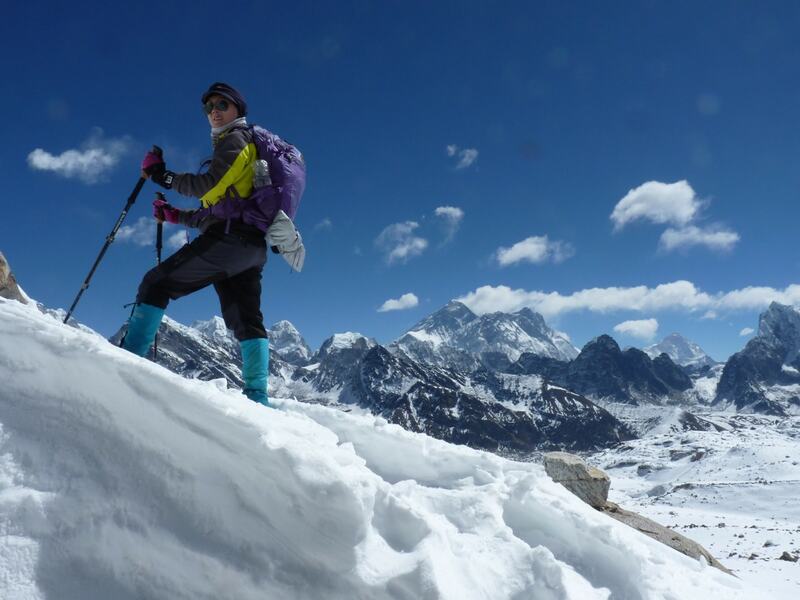 Our first full day was spent arranging finance, firming-up trek plans and selecting equipment rental, plus seeking answers to questions with our Nepalese tour agent and guide, Santa Bahadur. 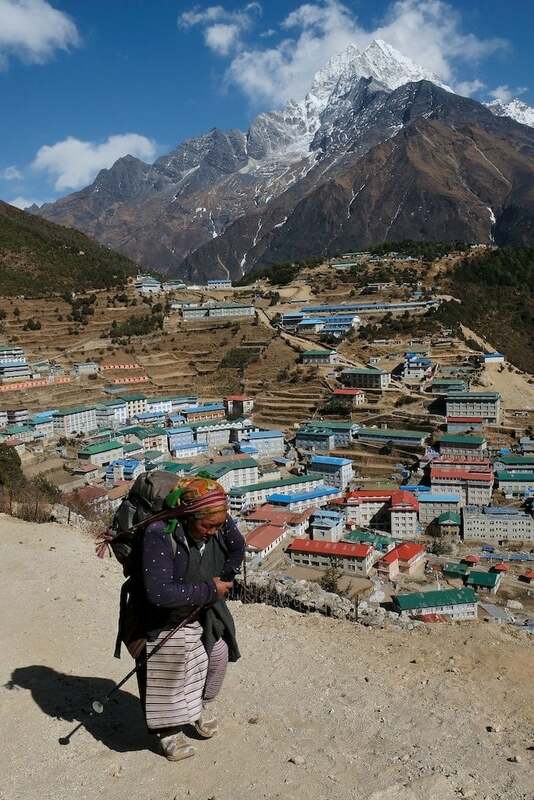 Finance involved payment of the domestic flight to Lukla, porters plus trekking accommodation. We visited Shonas equipment store to buy or rent equipment still required. Early afternoon and delicious cake, tea and coffee refreshment at Pumpernickels bakery: recommended. Early evening and a meal at Western Tandoori where chicken curry and garlic naan bread was served: the ultimate spicy experience. A few members of the group then headed for Sam’s bar and a couple of beers. Two days later we left our hotels at 5am and were taken to the airport. 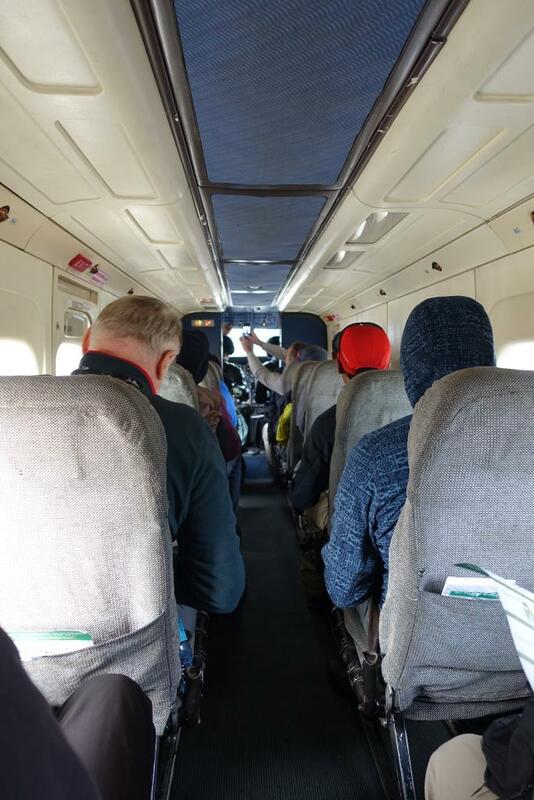 At 8am we boarded the small sixteen-seater aircraft bound for Lukla. The flight was stomach-churning due to turbulence above every mountain ridge, shifting the tiny coffin-shaped aircraft in random directions. 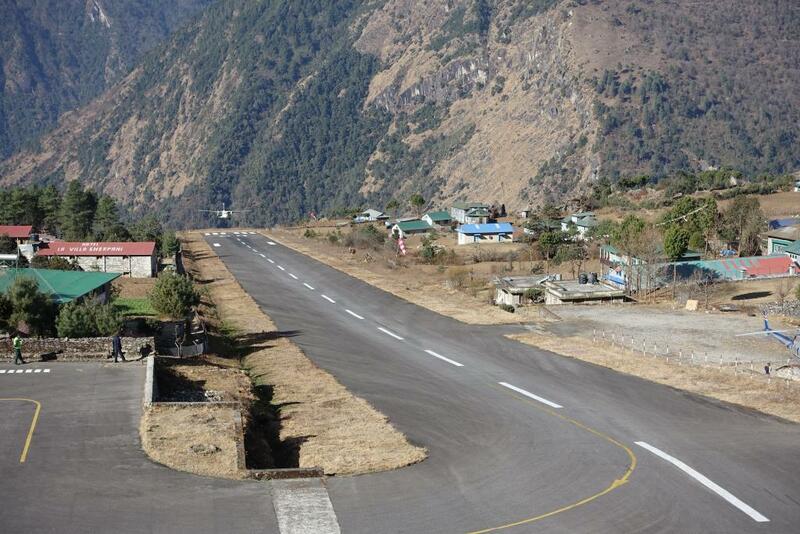 Lukla landing strip was incredibly short and sloped 15 degrees upwards. The airport is one of the top ten most dangerous in the world! 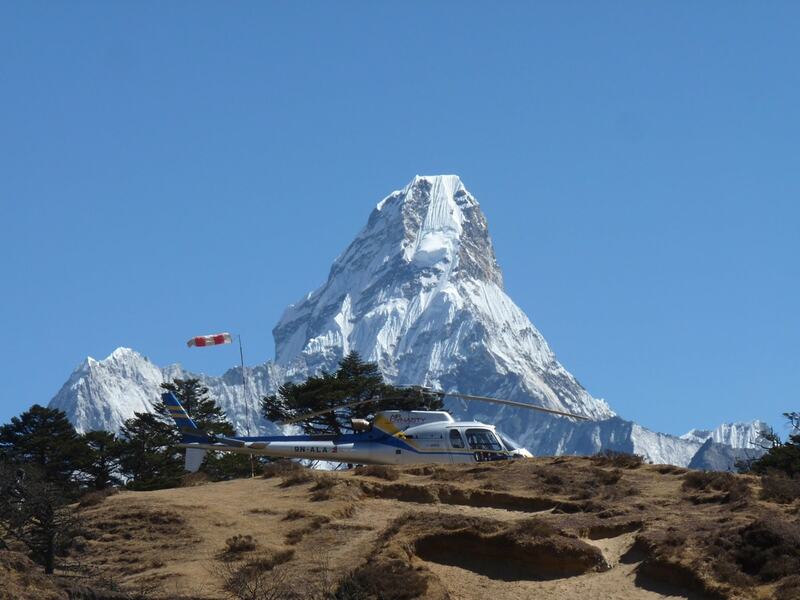 The take-off on flying out of Lukla would inevitably be nerve-wracking. We met our porters at the Paradise Hotel where we had breakfast. 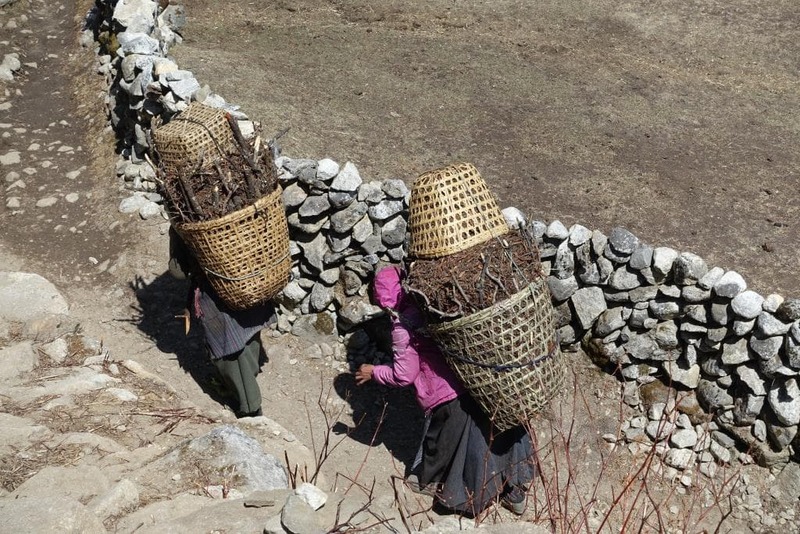 They would carry our larger bags for the whole trek. We set off at 10am along the trail to Monju, our first night’s stop. 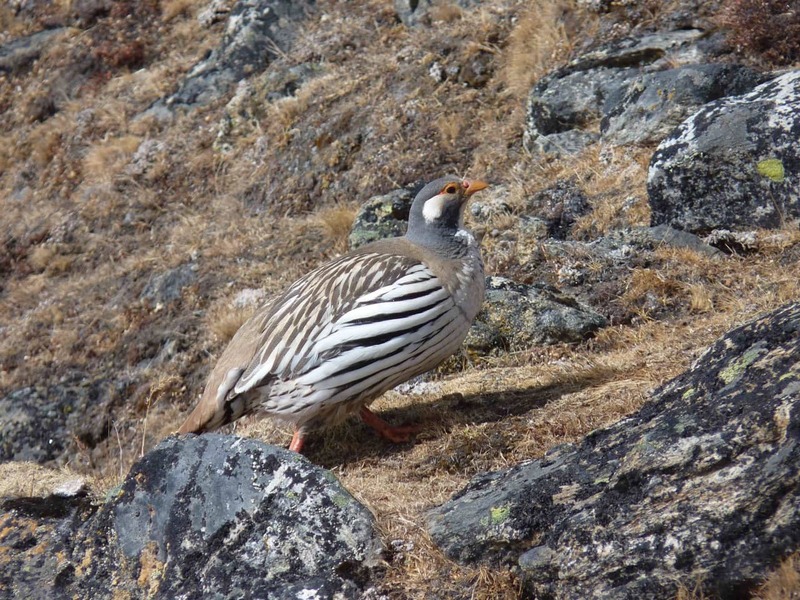 The route followed the Dodi Kosi valley northwards for eleven kilometers amid open forest and scrub. The season of early spring meant a number of wild flowers were in bloom: pink and red rhododendron, magnolia, daphne, etc., with some familiar European flora: Barberry, Cherry, Holly. 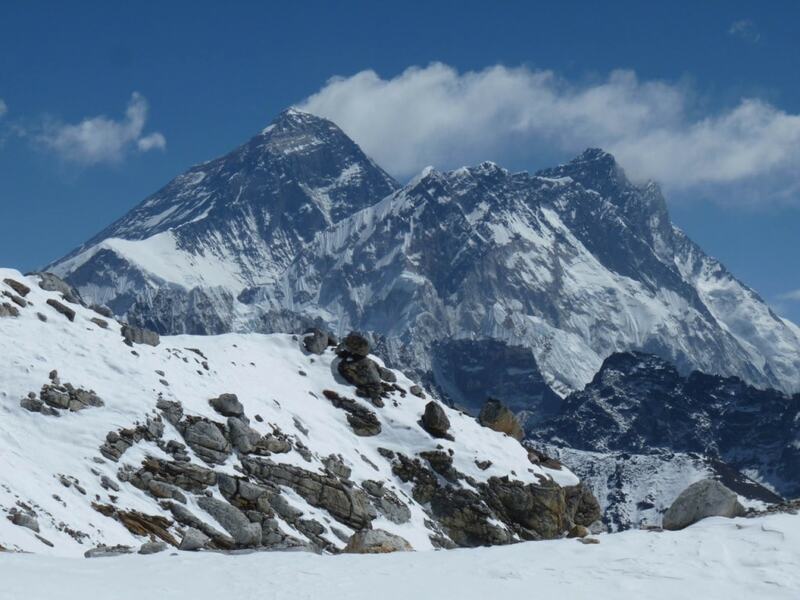 Angular snow-capped mountains (Kongde, Kusum Khangkaru, Thamserku) were constantly In view around us, the latter peaking at 6600 metres. 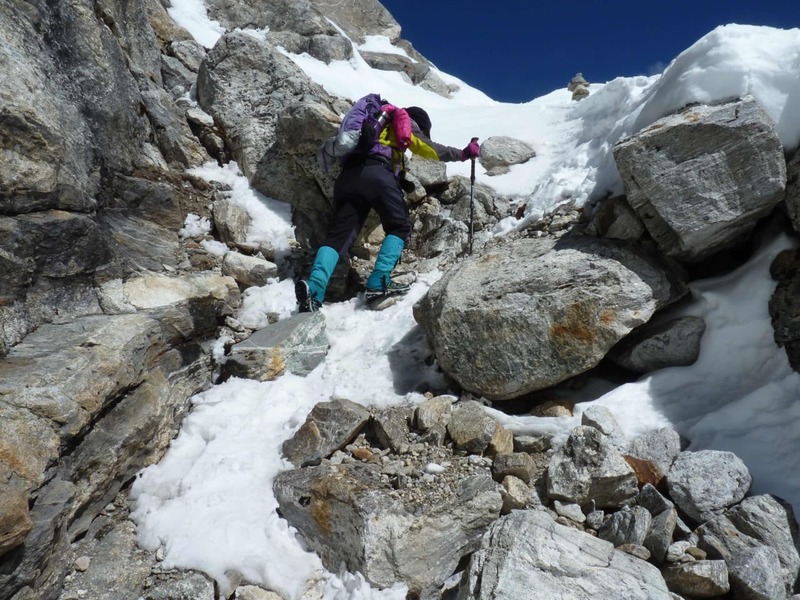 The geology of the Himalaya mountain range is mainly granite, and the roller-coaster trail was lined with unyielding cobble stones and steps. We crossed the river three times along swaying person-wide metal suspension bridges. 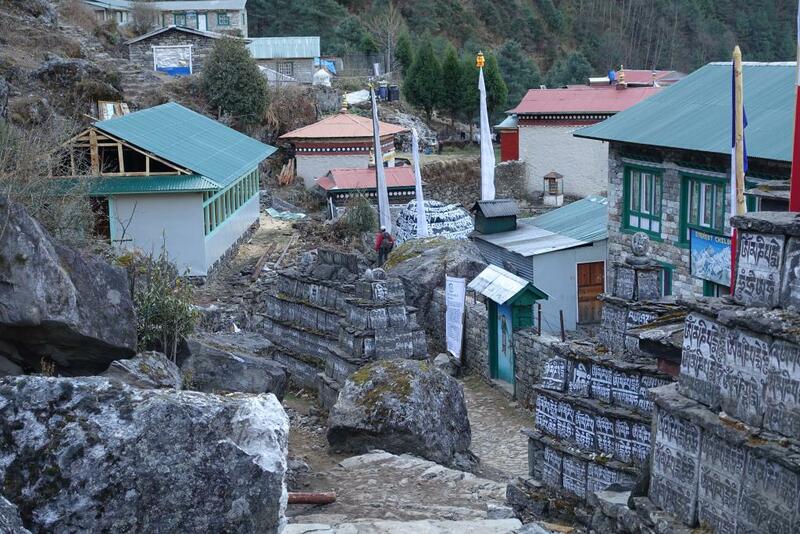 Along the route there were guest houses (tea houses) in every village. 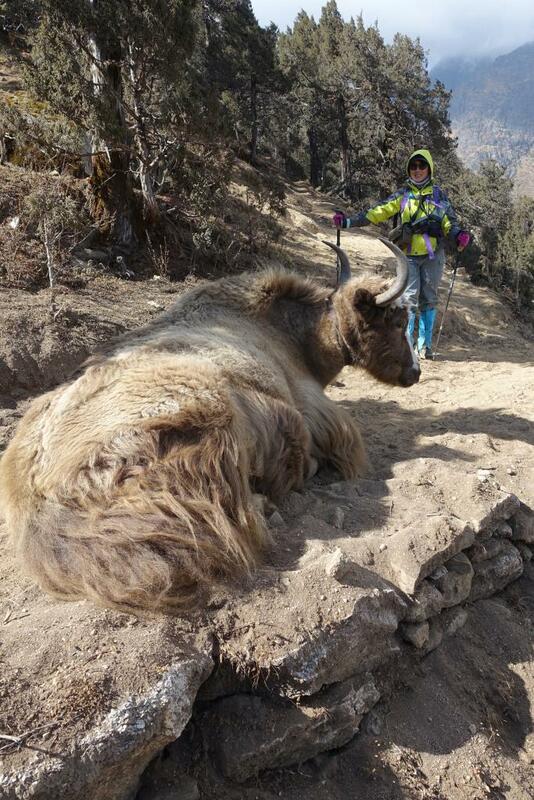 Every so often, we had to give way along the narrow trail to donkeys and cows being shepherded along carrying heavy loads. 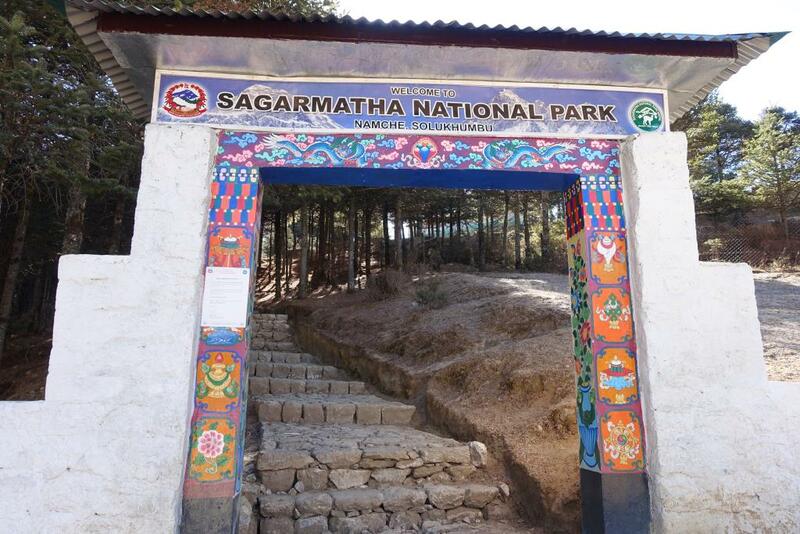 Leaving our first tea house, the trail continued northward, but after just five minutes we had to stop at the gates of the Sagarmatha National Park permit centre. 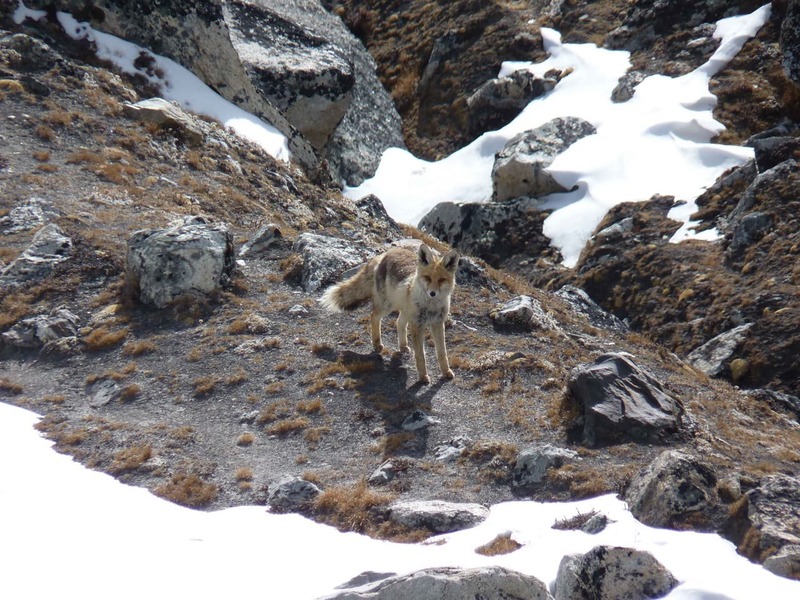 Each of us paid a 3390 Nepalese Rupees park entrance fee. 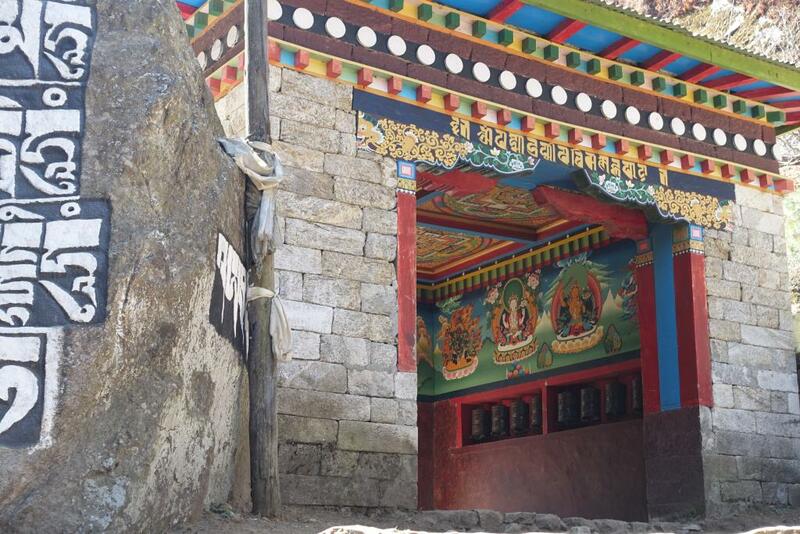 There were several bridges to cross as we headed up the valley; one final bridge took us high above the river to start the 600 metre ascent to Namche Bazaar. We reached the town at 11:30 and found our accommodation. 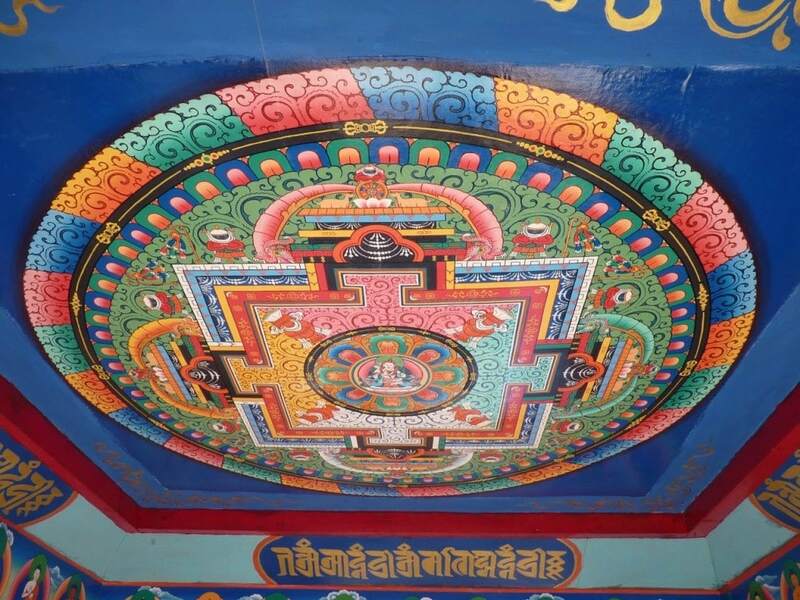 After lunch we visited the temple in the town before heading back for a quiet evening at the hotel: the yak sizzler was the undoubted favourite. 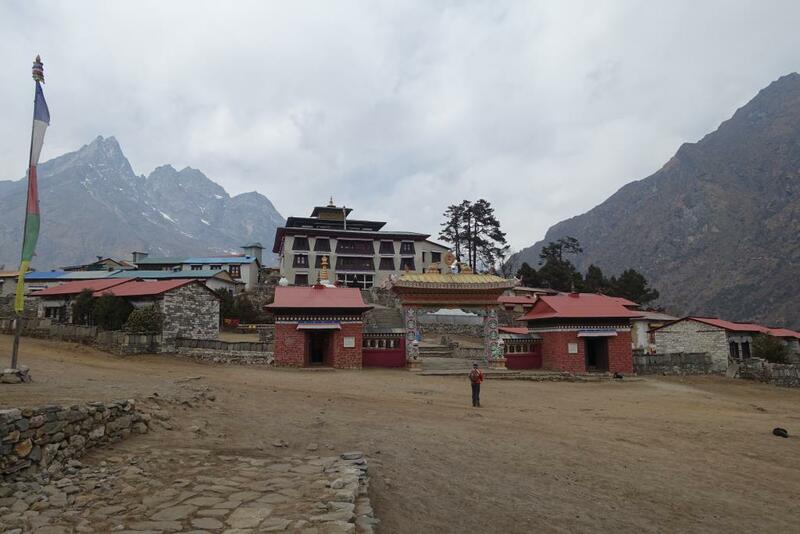 A day of acclimatization followed with a local morning hike ascended direct from our guest house up to the Sherpa Tenzing statue, military base and park museum, and then across to the Everest View Hotel at 3850 metres. 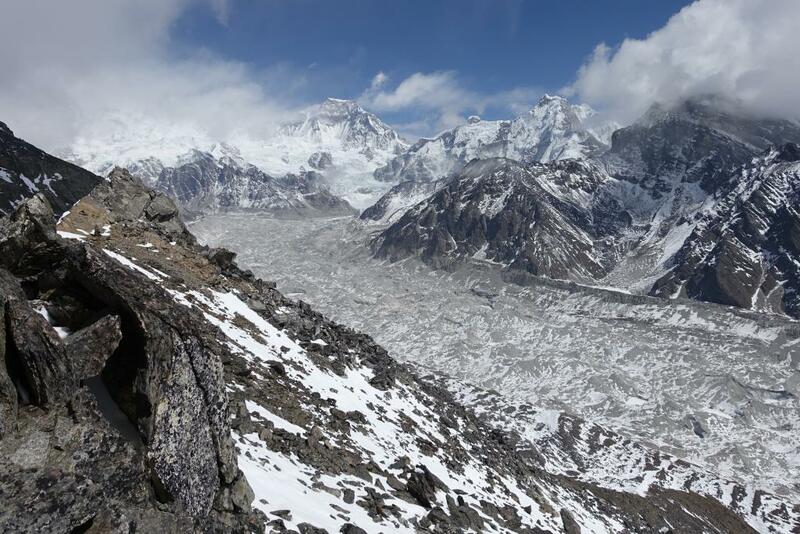 This up-market hotel provided fantastic views of Arkamtse, Tabuche, Nuptse, Mount Everest, Lhotse, Shirtse, Ama Dablan. 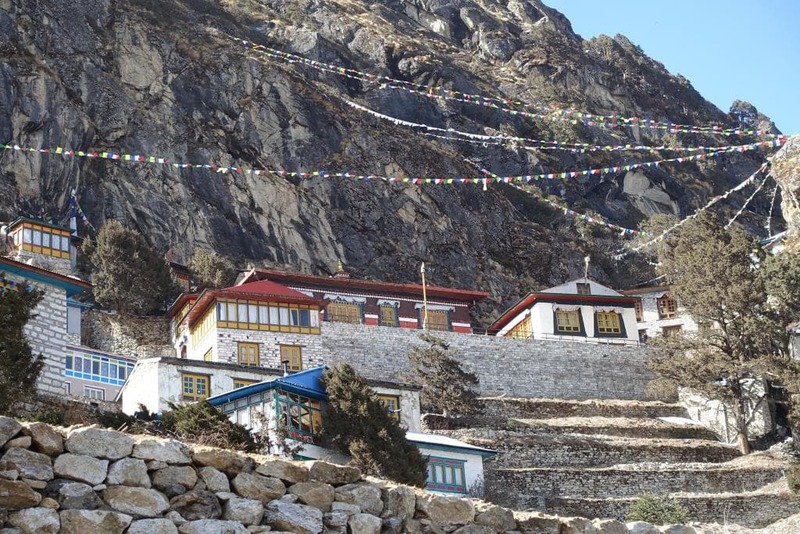 Hot drinks there in warm sunshine, before returning to Namche just after midday. 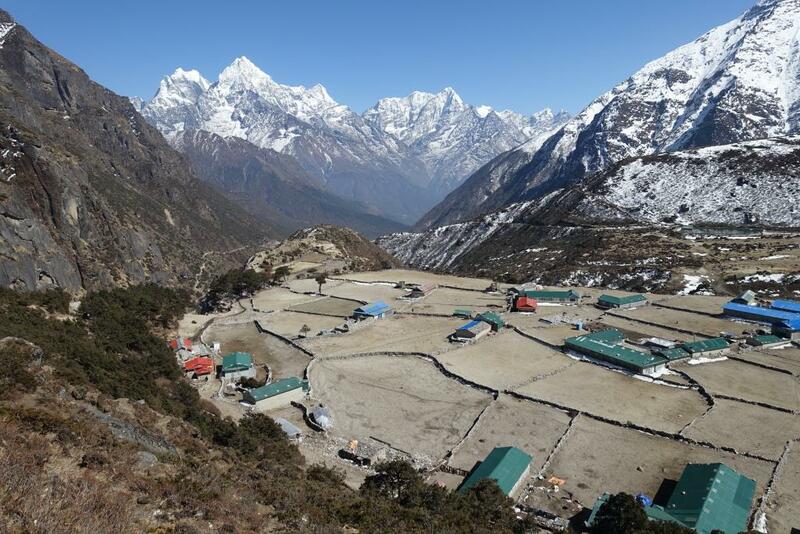 For the next week, the group continued its uphill trek staying at Khumjung, Panboche, Dingboche and Chhukhung, respectively, the latter settlement pitched at 4770 metres. 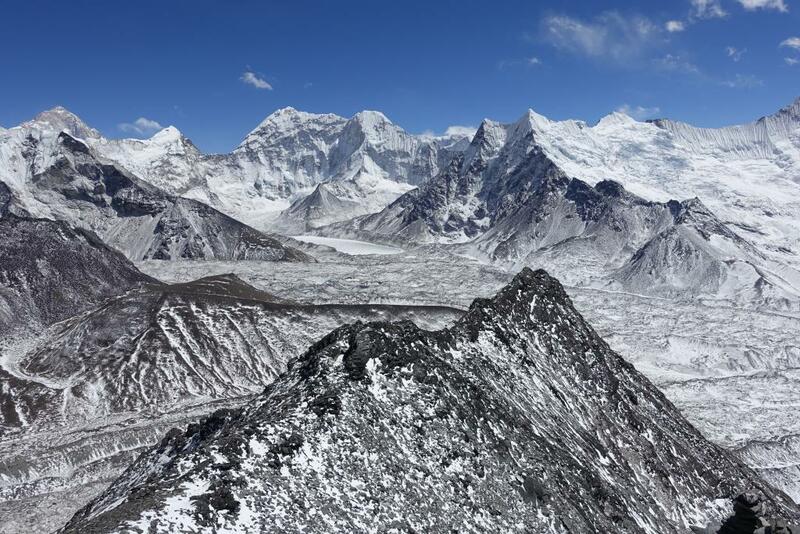 From each of these localities, there-and-back hikes were undertaken: Hilary Park, Ama Dablam base camp, Nangkar Tshang summit, and toward island Peak base camp (the trail peak of 5550 metres), respectively. 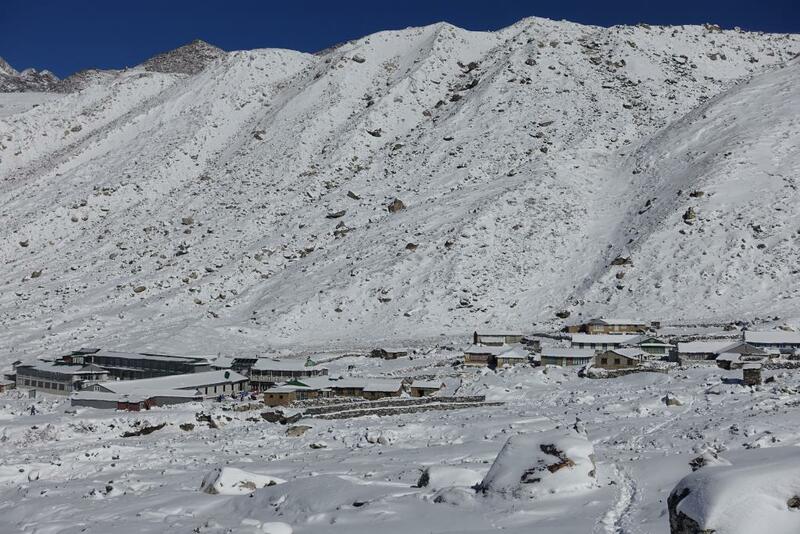 It snowed heavily as we hiked out of Dingboche, and we were all very glad to reach our guest house at Chhukhung that day. 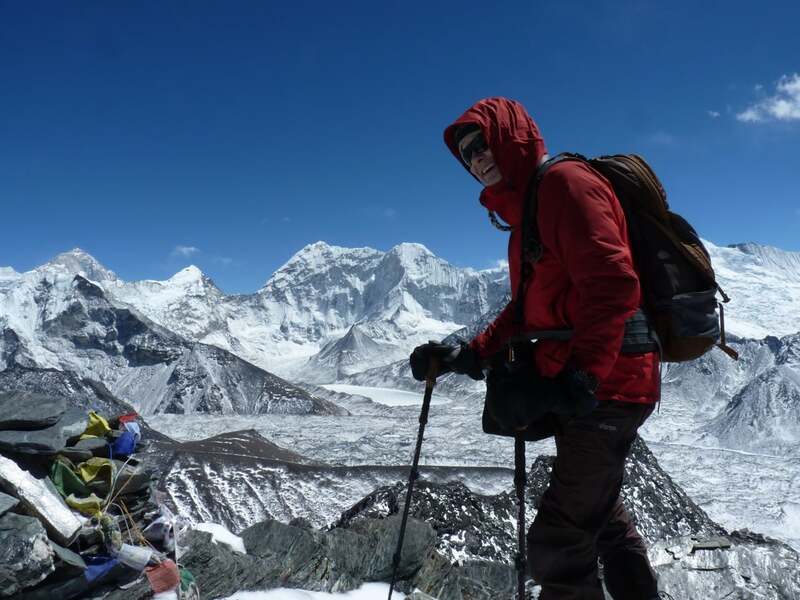 Due to the plan to tackle Kongmala pass from Chhukhung (the first of three high-level passes) clashing with the difficult and potentially dangerous trekking conditions, Brian and Peter D. decided instead to head for our Lobuche destination via Dingbuche. 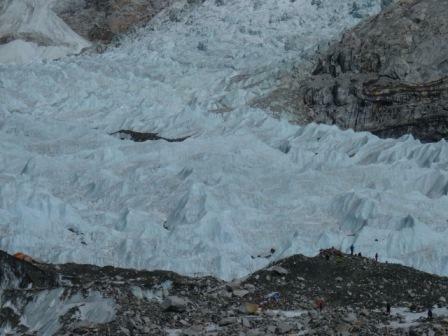 The rest of the group agreed to attempt the pass even though rumour had it snow and ice had closed it. 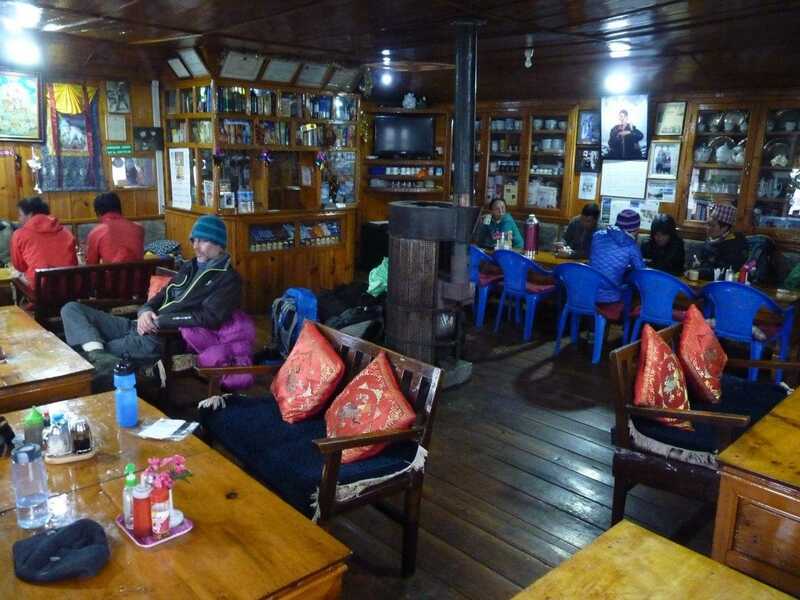 The main group did manage to complete the pass route, but it took them 11 hours to do so, and they only just managed to reach the Lobuche tea house before dark. 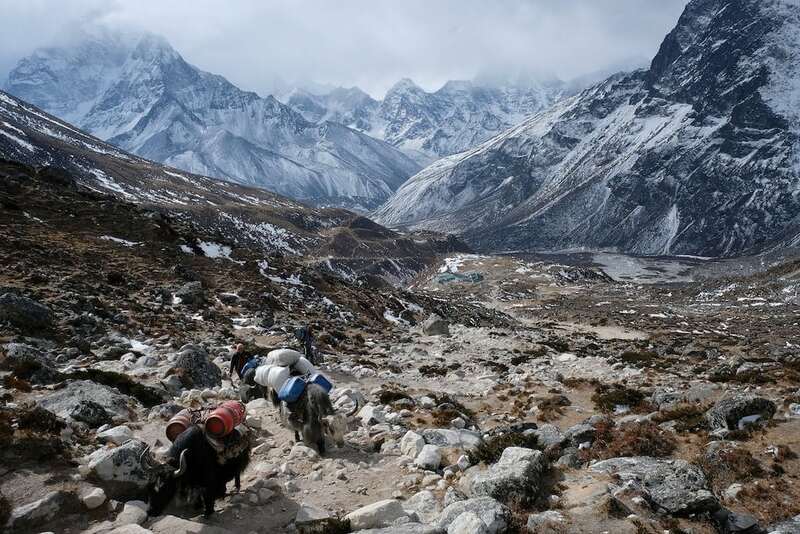 Crossing the Khumbu glacier was the sucker punch that hit the group really hard towards the end of an extremely tiring day’s hike – the half-way point of the whole trip. 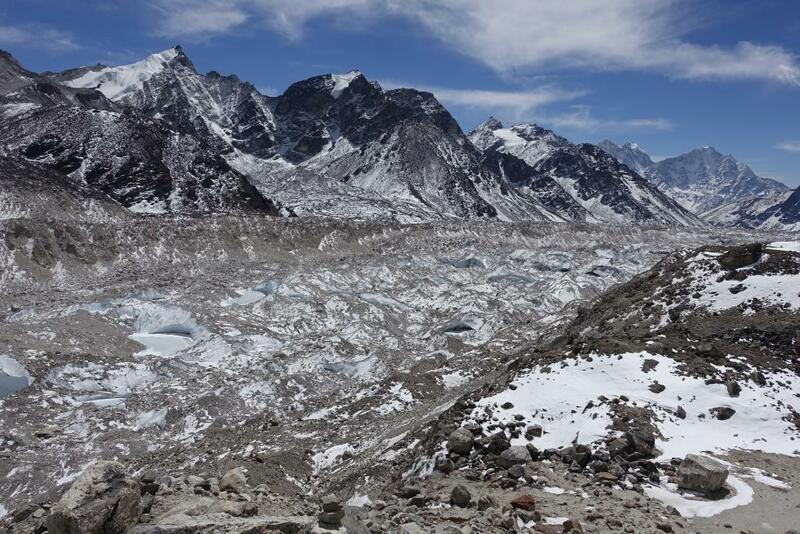 The following day, Mike, Brian and Peter hiked up to the highest settlement before Everest, Gorakshep, at 5164 metres. 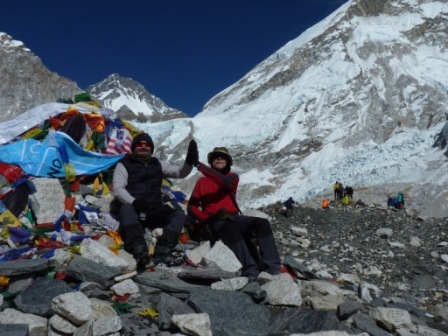 After booking in to lodgings there, the trio continued up to Everest Base Camp at 5380 metres, celebrated their mini-achievement and headed back. 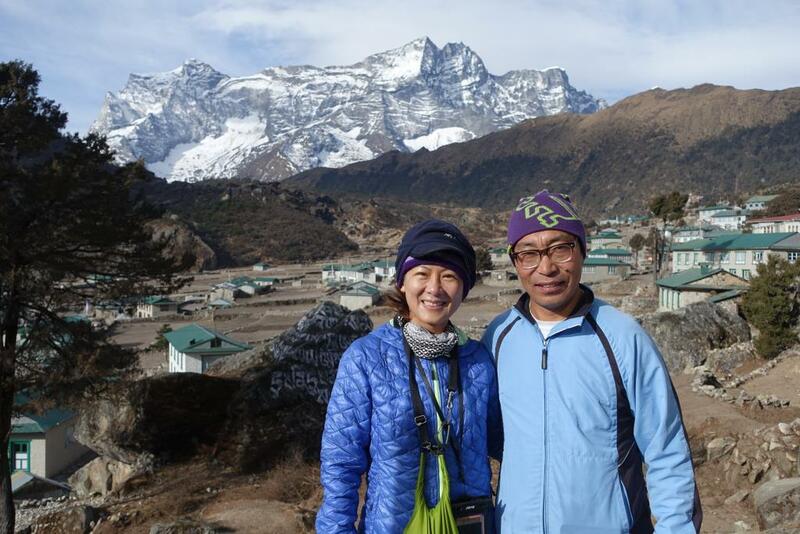 The remaining members of the group spent a well-earned rest day at Lobuche. 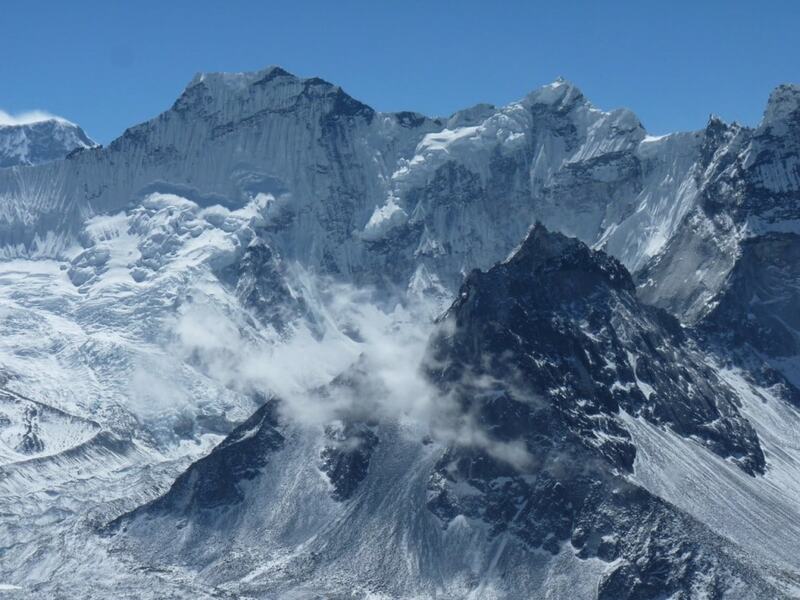 A decision was taken to give the second pass, Cho La, a miss due to difficult weather and potentially dangerous icy conditions. 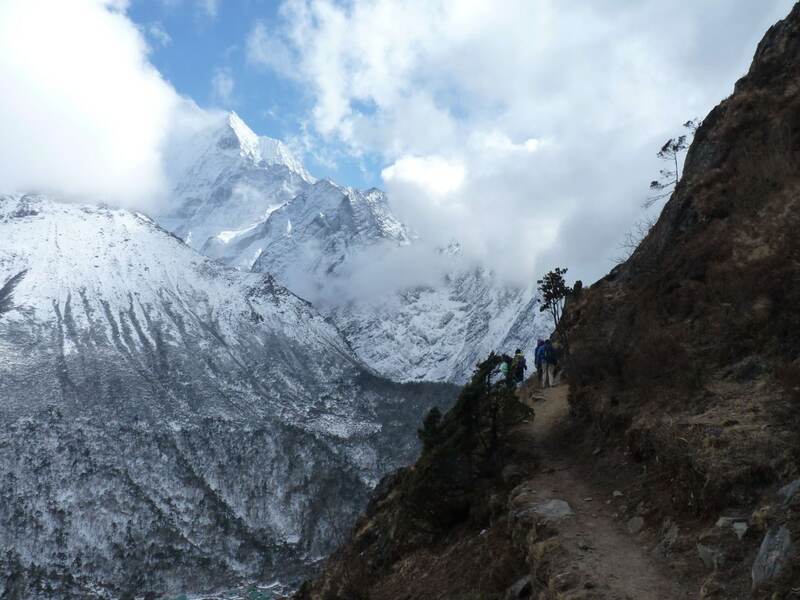 Brian and Peter decided to avoid both remaining passes, and instead headed back to Namche Bazaar the way they had come, and eventually on to Lukla. 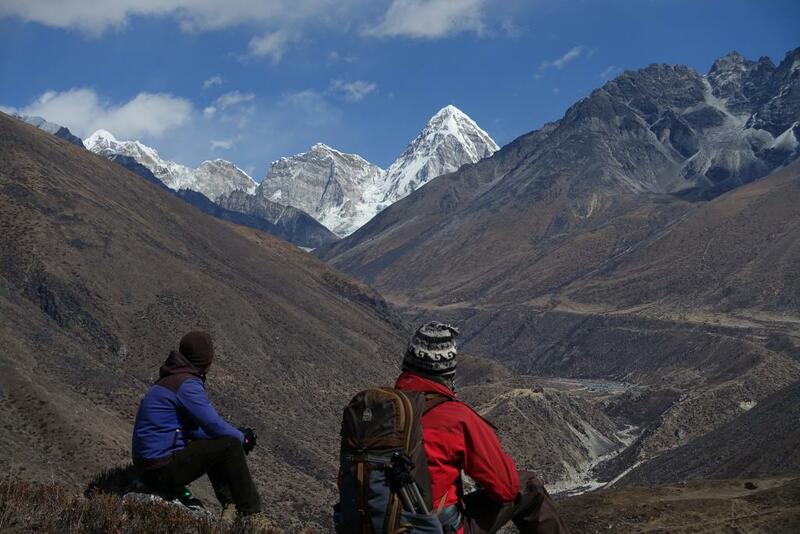 Mike, Oliver, Peter T and Koy spent three days trekking up to Gokyo via Phortse, Somare and Macharmo. Whilst at Gokyo, they scaled Gokyo Ri (peak) at 5360 metres. 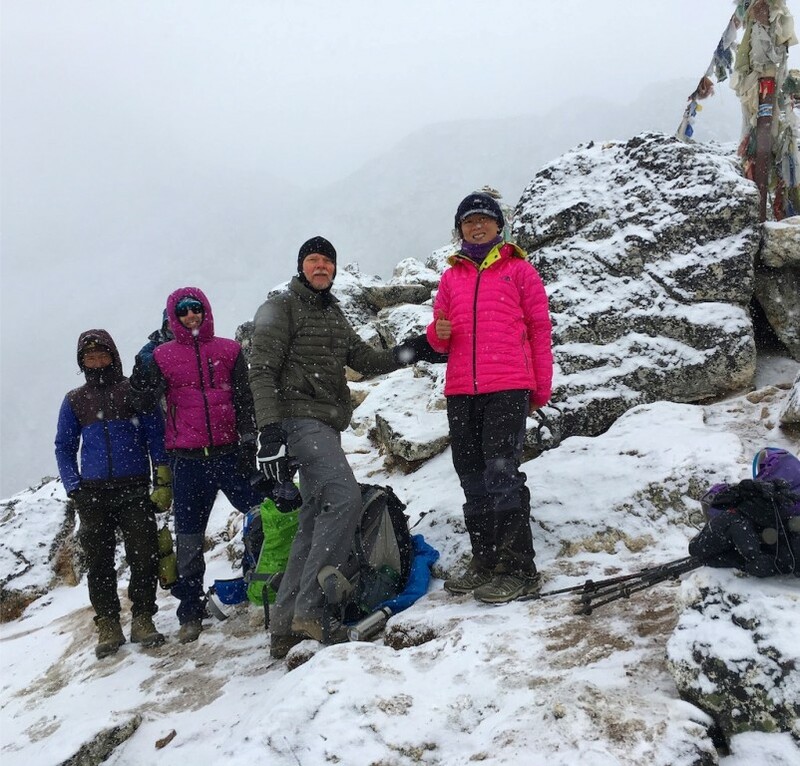 From Gokyo, the group headed back over four days towards Lukla via: Lumde, Thame, Namche Bazaar and Phakding, and on the first day they took in the third pass, Renjo La at 5340 metres. 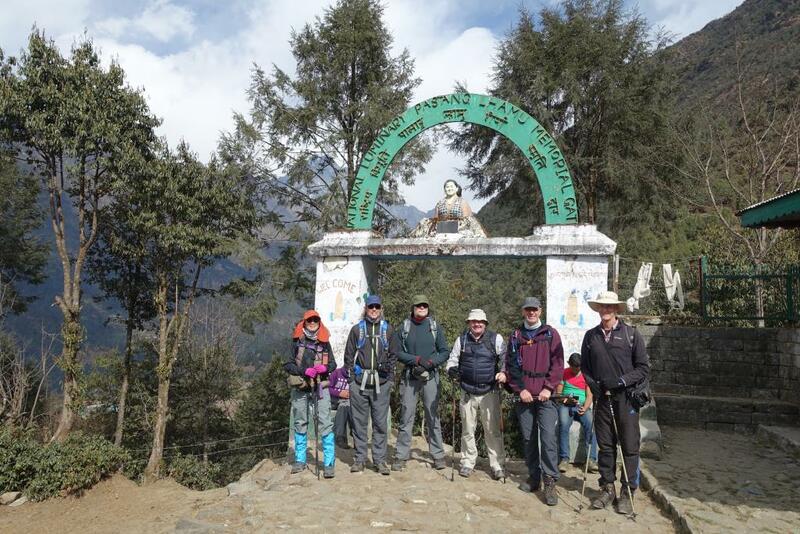 The whole group – minus Jim who parted from the group mid-month – met up at Lukla on 25 March. Bad weather the following day meant there were no flights, but a clear sky at first light the following morning ensured a speedy and safe return to Kathmandu the next day. This was a relief for the two Peters’ who had somehow managed not to have a shower for more than three weeks.